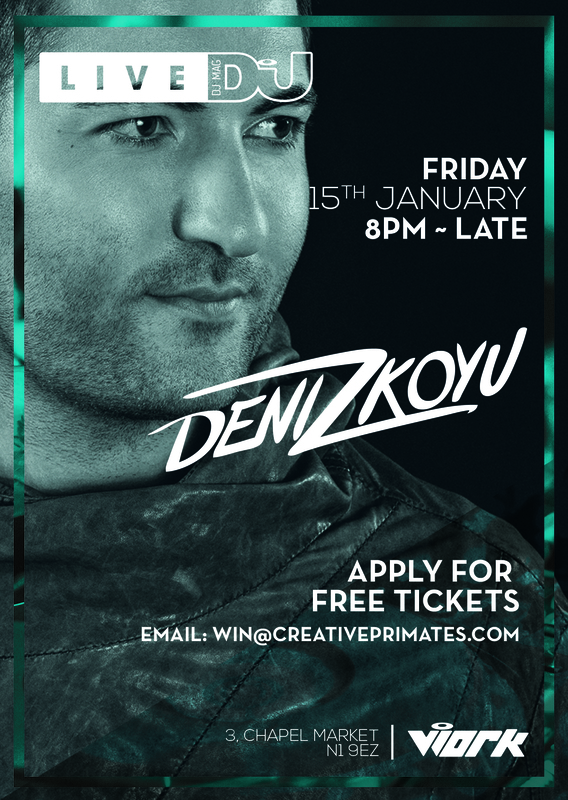 On January 15th Deniz Koyu will play an exclusive DJ Mag Live event at our favourite North London basement - Work London, on Chapel Market - ahead of his headline show at Ministry of Sound on Saturday 16th January. This exclusive event, which will be streamed live on DJ Mag TV, is an incredible opportunity for Deniz's London superfans, who will get the opportunity see Koyu up-close in a 100 capacity venue! Since he first laid hands on piano keys at the age of five, Deniz Koyu has been obsessed with making music. A producer whos fans include Fedde Le Grand, Sebastian Ingrosso, Axwell, and Tiesto, and is also the man who created such hits as 'Tung', 'Hertz', and 'Follow You'. Want to attend? Simply email you and your friends names to win@creativeprimates.com to be added to the FREE Guestlist for the event. Tickets will be issued on a first-come-first served basis.